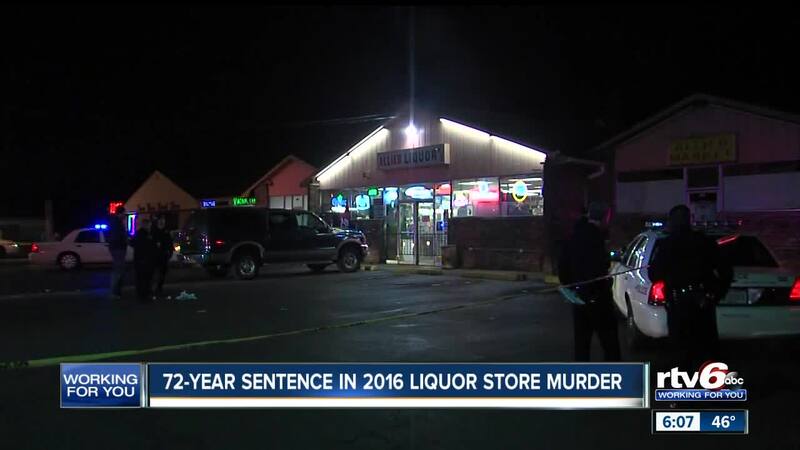 A 72 year sentence was given to Kameron Martin who murdered a 70-year-old liquor store owner. INDIANAPOLIS — An Indianapolis man convicted of murder by a jury has learned his fate. On Thursday, a Marion County judge sentenced Kameron Martin to 72 years in prison after he was convicted earlier this month of murder and robbery charges. It stems from the March 12, 2016 robbery and shooting death of Joseph Klein, 70, at Allied Liquors, 5203 E. 38th St., on Indianapolis' northeast side. Indianapolis Metropolitan Police Department officers were called to the business on a holdup alarm and found Klein suffering from a gunshot wound. He was taken to the hospital, where he later died. Surveillance video of the robbery showed three individuals enter the business at 1:45 a.m. One person, later identified as Martin, entered the store armed with a handgun and headed toward the back office where Klein was located, prosecutors said. As Klein attempted to shut the office door, Martin fired two shots that penetrated the center of the door, one of which struck Klein. Three weeks after the murder, two witnesses called police with information identifying Martin and a second person, Anthony Breaziel, as suspects. Breaziel pleaded guilty in November 2017 to conspiracy to commit robbery and is currently serving a 14-year prison sentence. Breaziel testified and cooperated in the prosecution of Martin, prosecutors said.